June in the kitchen garden. 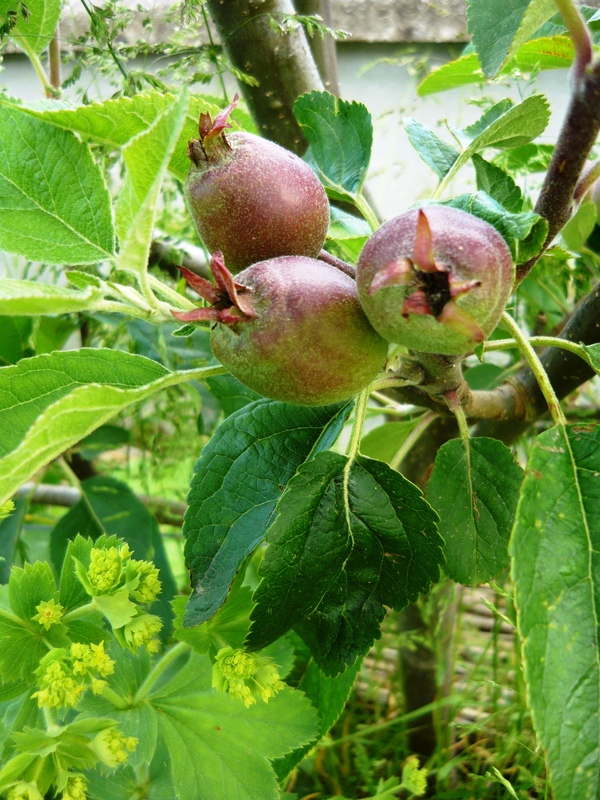 It is the lightest time of year and things are moving on fast in the vegetable and fruit garden. 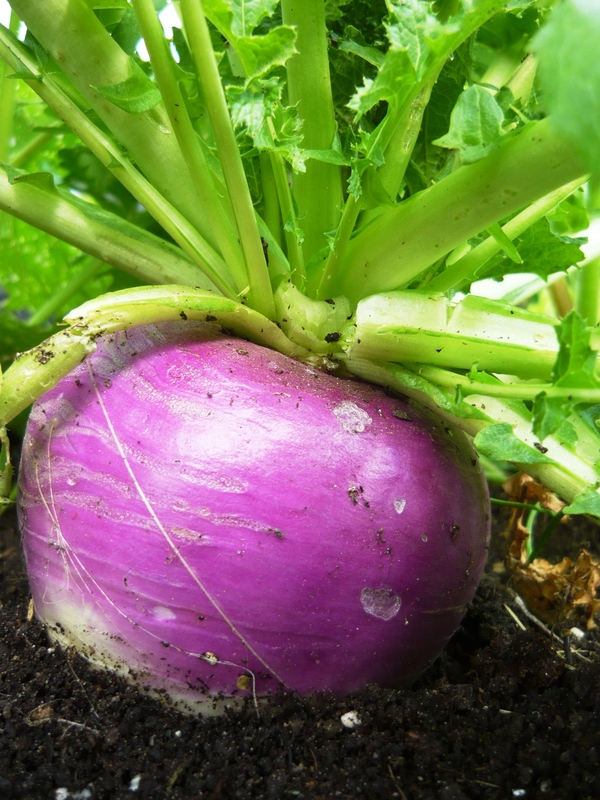 We use a system with no-dig, raised beds for growing annual vegetables and our beds are now in their third year. 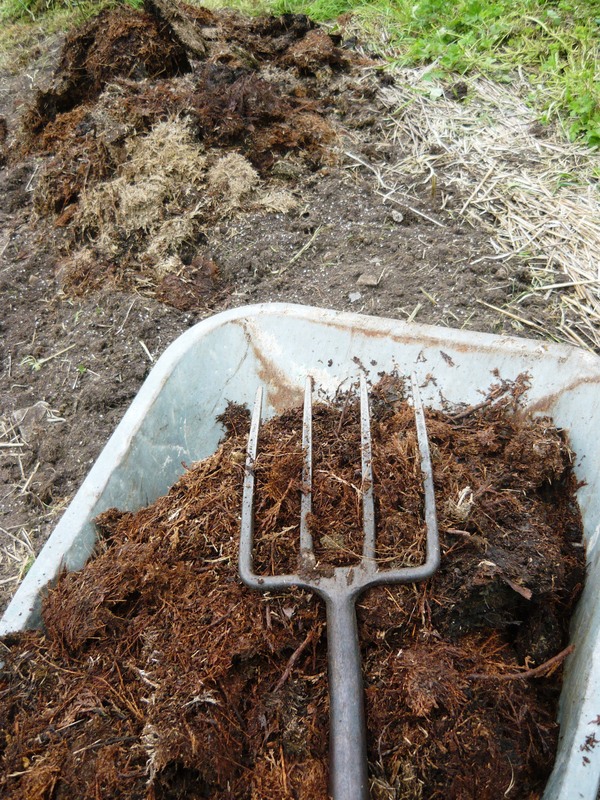 We add mulch to them several times a year, and top them up with well rotted cow manure once a year. 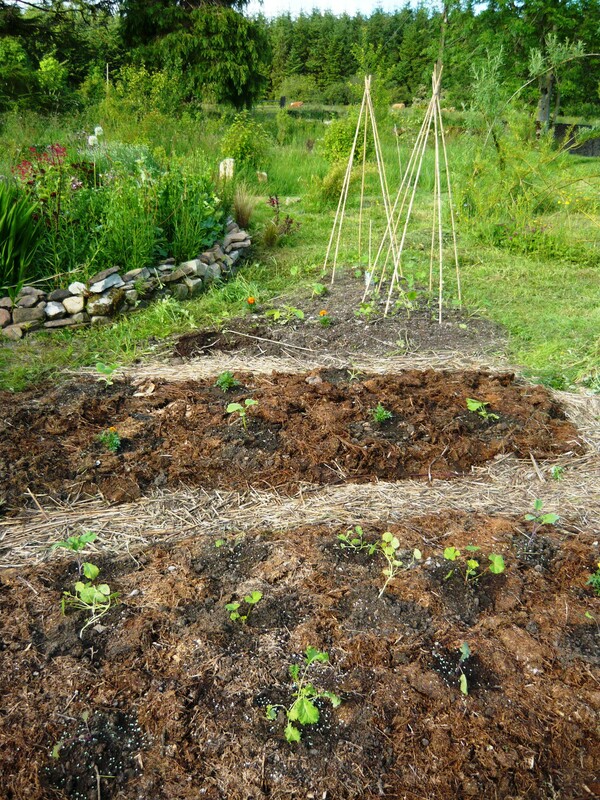 The earth worms then do the work for us and mix the newly added materials into the beds. We have made them 120 cm wide as it is possible to weed and harvest at that width without stepping onto the soil and compacting it. Our paths are about 30 cm wide but we would make them a bit wider if we did the beds over again as they get quite overgrown with floppy green vegetable leaves. Everything grows very well in our beds including weeds but we try to stay on top of them. 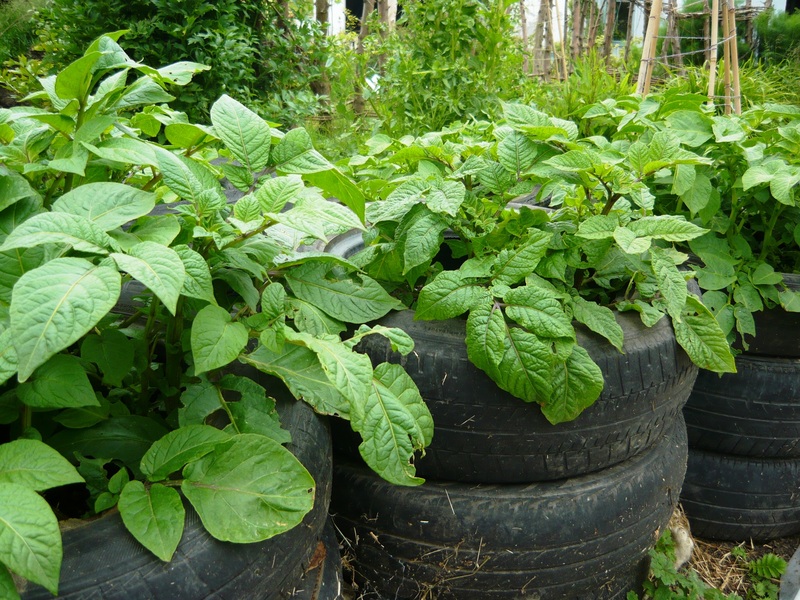 Mulching helps a lot and we grow all our little plants in pots until they are big enough to out compete the weeds and stand a chance against the slugs. 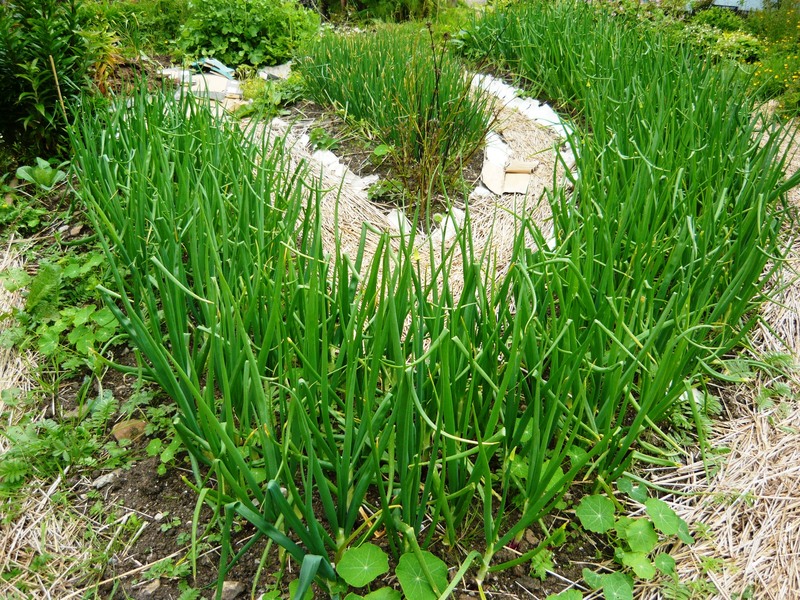 Onion sets are one of the few things we put straight into the beds. 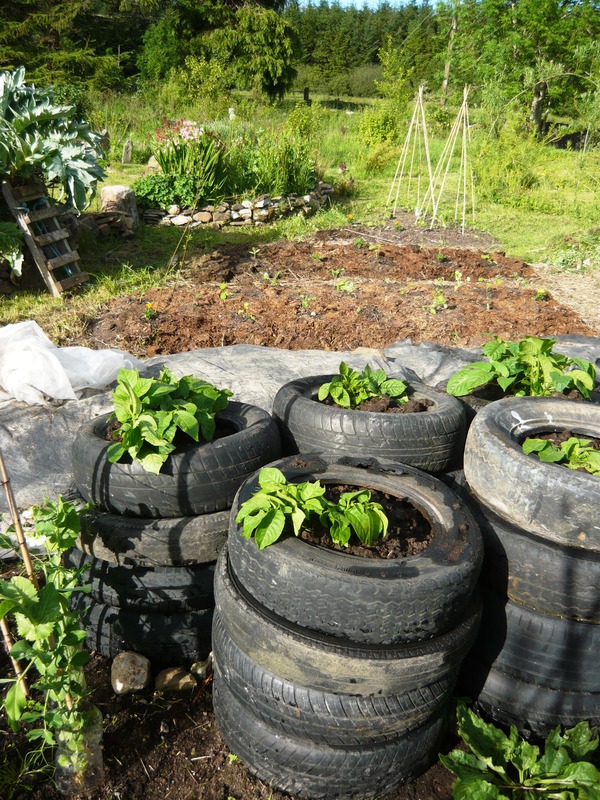 We planted our potatoes on Saint Patrick’s Day in the middle of March and they have now been earthed up five times and we are up to our forth layer of tyres. They are growing strongly and we can’t wait to dismantle the stacks to see how many potatoes we can find. 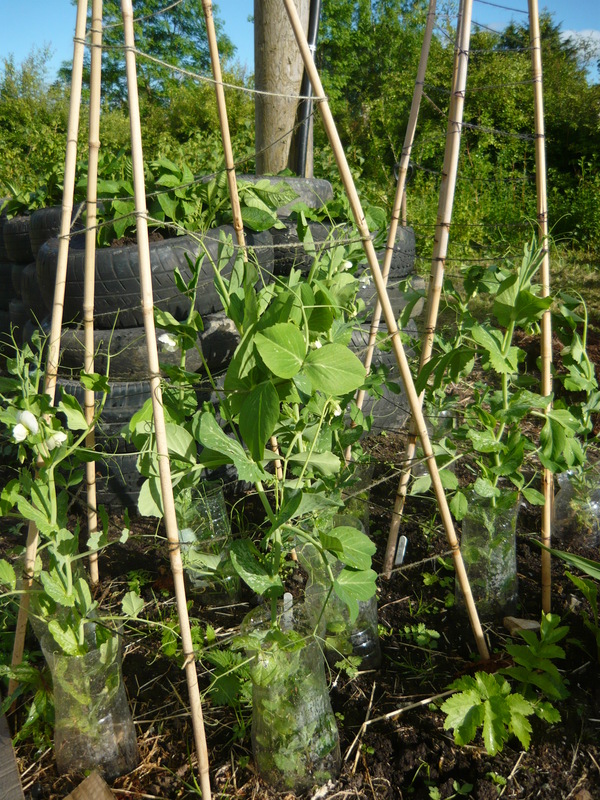 For growing peas and sunflowers we use some cut off big plastic bottles to protect the newly planted seedlings and it is working very well. There is less slug damage than other years and the bottles also protected them from the worst of the weather when they are small. We are planning to just leave them there and it also makes watering easy as you can just pour some water into each one. 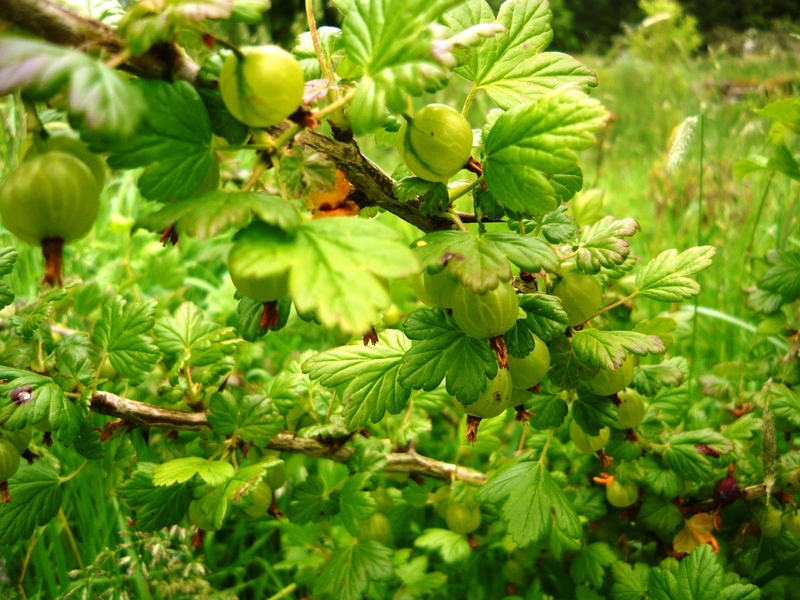 Our berry bushes have now been in the ground about two years and we have an amazing amount of berries this year. 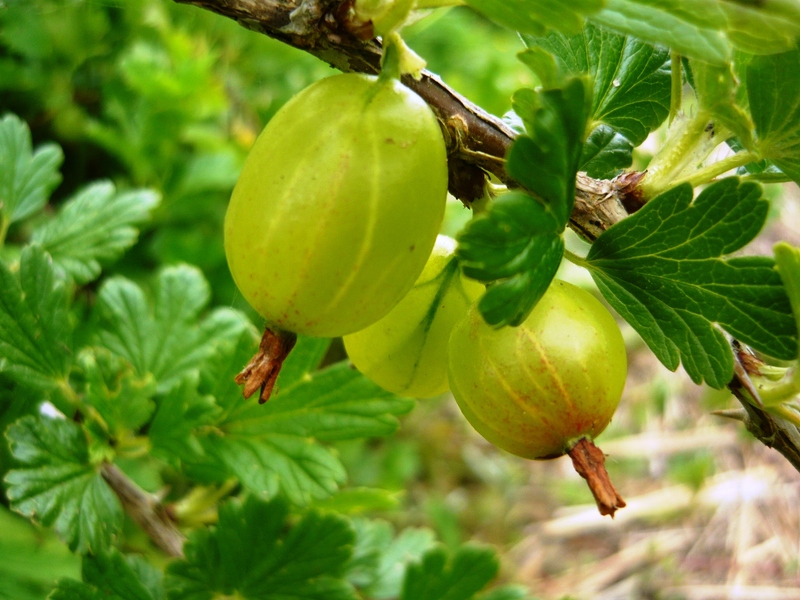 We have blueberries, raspberries, gooseberries and currants, as well as a lot of hybrids like jostaberries and tayberries. Along our drive a long row of Laylandii cypress was planted that blocked out all the light from the south and made it impossible to drive a car down it. We removed them and kept every fourth trunk in place and stretched wires in between them. 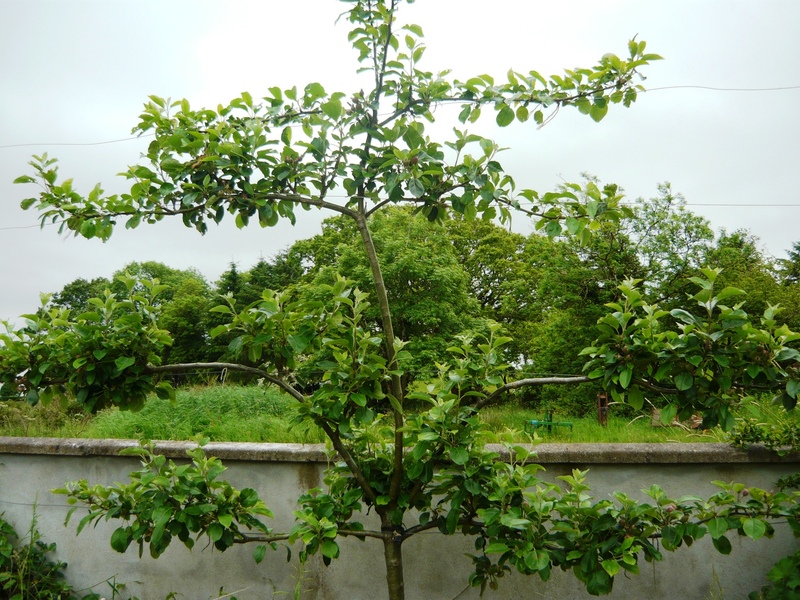 We now have seven different varieties of apples planted there. 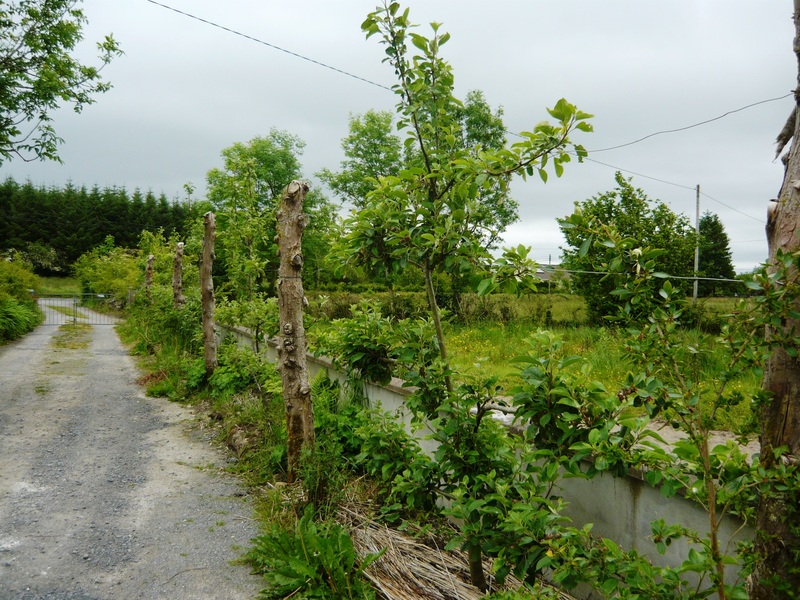 We put in small trees and bent all the branches out to the sides to create espaliers and now, after only two years they are really filling in and starting to fruit. 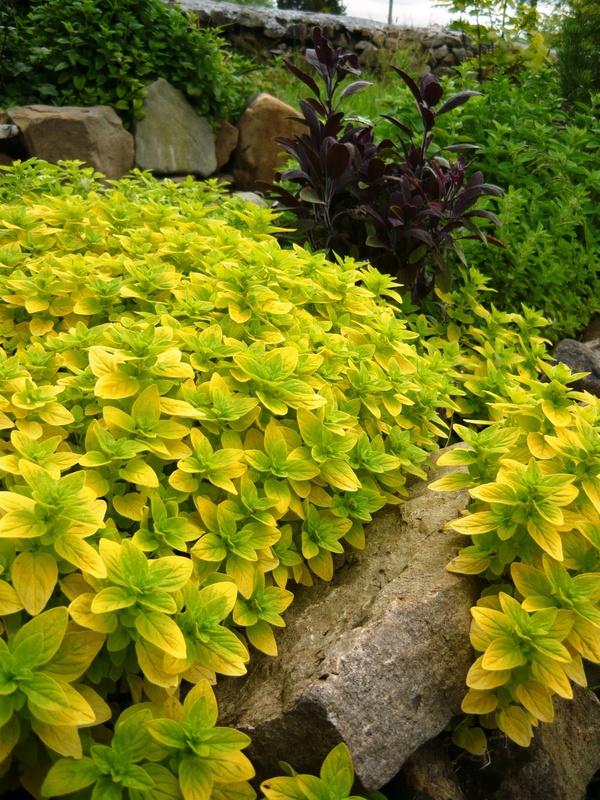 They look lovely but are also less prone to disease and take up a lot less space than it they were planted straight in the garden. 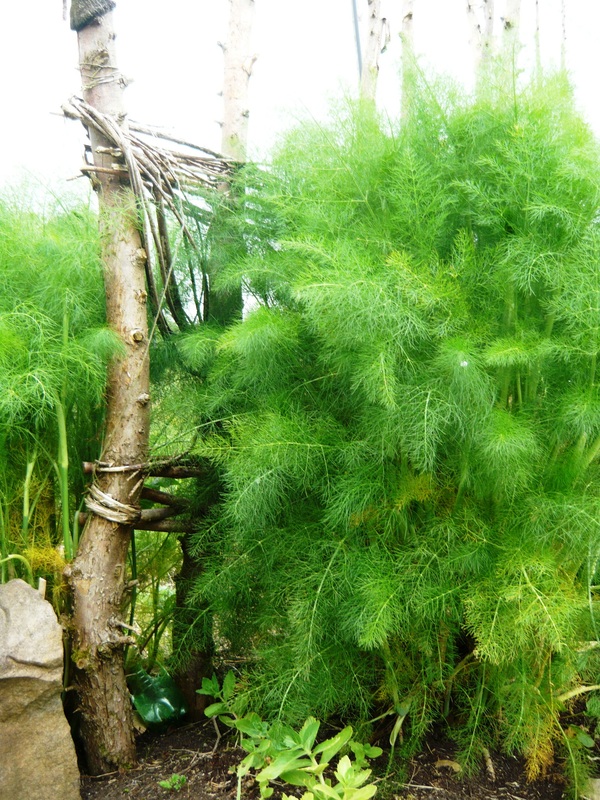 We are harvesting and using our herbs everyday for food and teas. 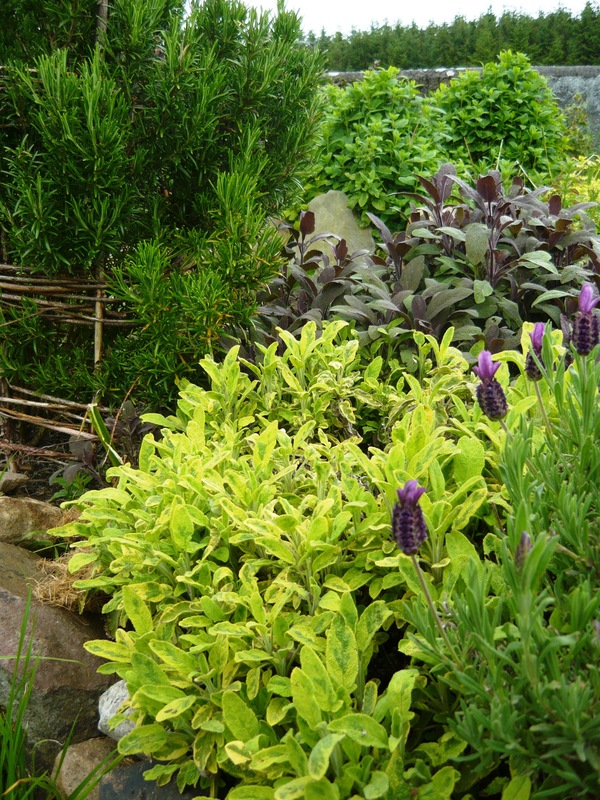 It is a pleasure to spend time in the herb garden listening to the bees buzzing away and looking at the butterflies. 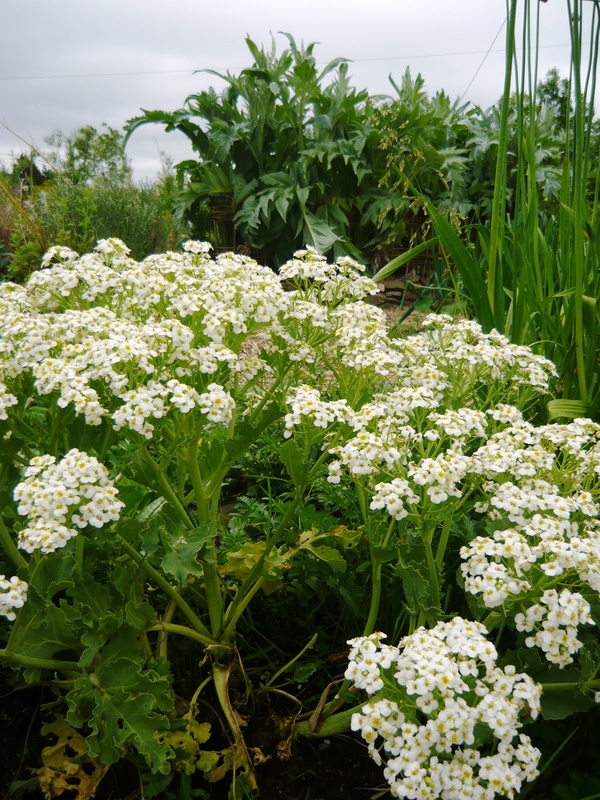 We also grow perennial vegetables and are particularly happy with the sea kale that is flowering at the moment and has a great honey scent. 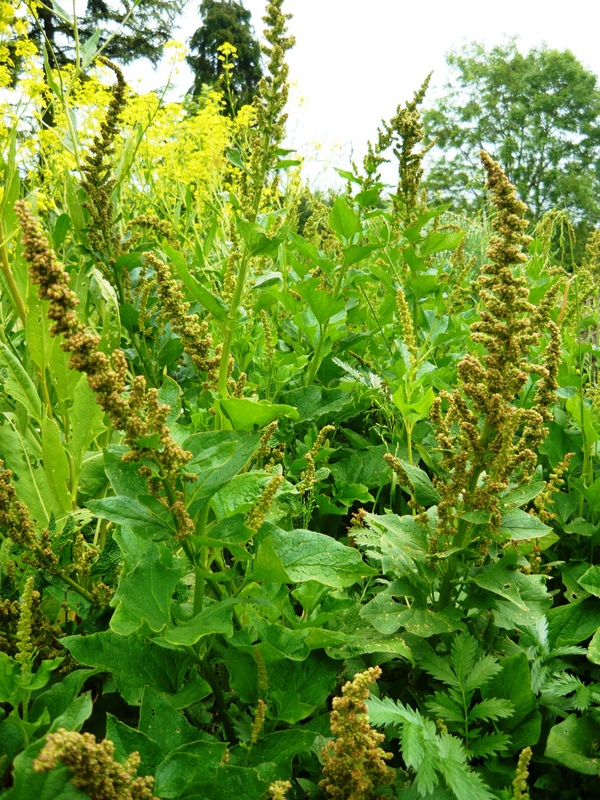 The good king Henry is very tasty and the yellow flowers from the Turkish rockets are going into salads along with purple chive flowers. Our perennial Swedish ‘leeks’ are doing really well and we have harvested a lot of them in spring when the annual onions weren’t ready. 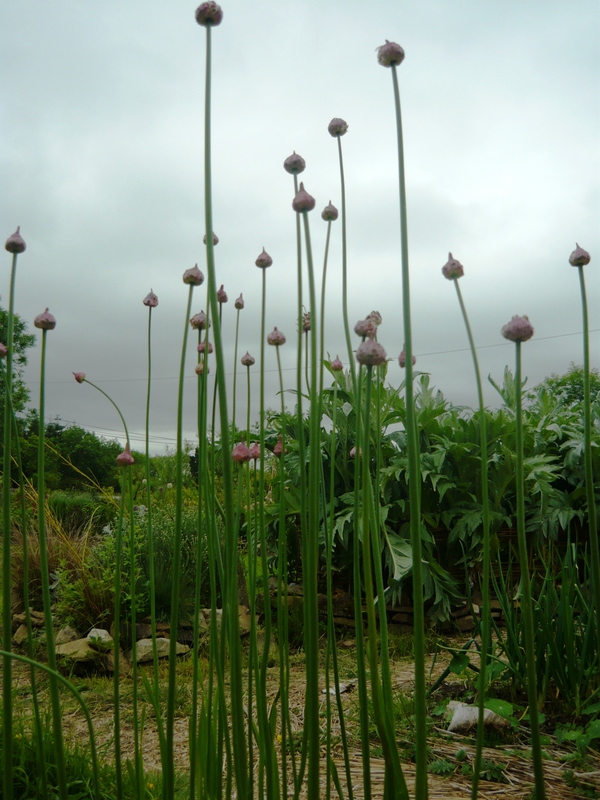 They are just about to flower now and later the newly formed bulbils will be heavy enough to make the stems lean over and re root. 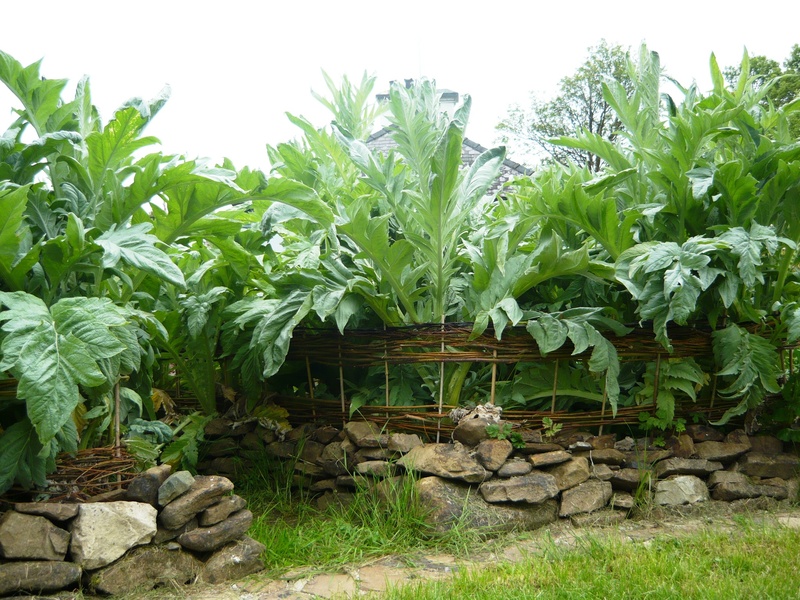 Our cardoons and artichokes are making good use of the willow fence we built in winter. 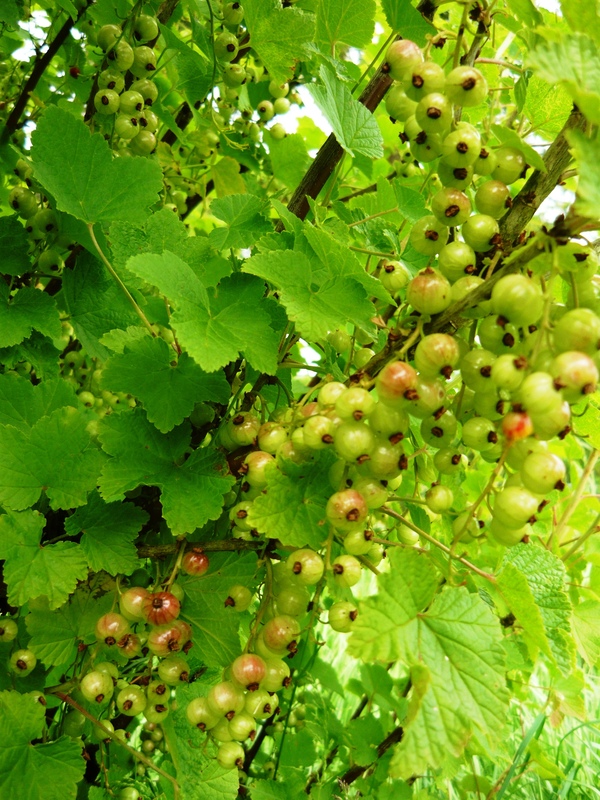 All in all it is a beautiful and bountiful time in our kitchen garden.